The Shiv Sena on 6 April accused the media for being biased in the treatment of the Ravindra Gaikwad episode. Shiv Sena leader Anandrao Adsul said that the Shiv Sena would not kep quiet and hence, it had moved an adjournment motion in the Lok Sabha. "The media spoilt the whole thing. It only reported one side of the story and Gaikwad's version was totally ignored. We have given an adjournment motion to be considered. We cannot sit quietly," said Adsul. Gaikwad earlier in the day arrived in the Parliament. 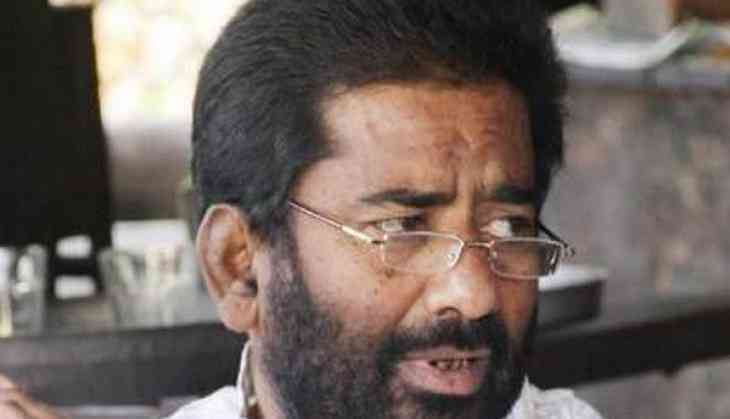 Sena MPs have been urging Speaker Sumitra Mahajan to allow Gaikwad to make a statement in the Lok Sabha and give his side of the story, which may include a denouncement of the attitude of Air India and private airlines, as well as the role of the Ministry of Civil Aviation, while demanding immediate revocation of his ban on boarding flights. Gaikwad had come into limelight due to the recent incident where he assaulted an Air India staffer by beating him with his slipper. Gaikwad had also submitted a complaint against Air India before the Delhi Police alleging that he was pushed and yelled on. In his complaint, Gaikwad, who allegedly manhandled Air India staffer, said he was made to travel by Air India on economy class even as he had business class ticket. Land Bill dead, Modi eyes defence land. Will the forces play ball?